Talk about a comeback--Nicolette’s story is ready for the big screen. 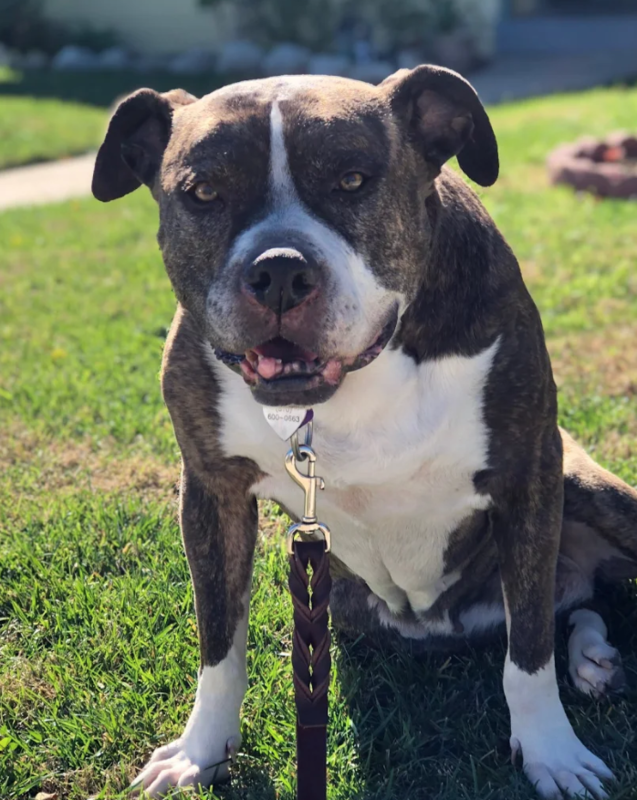 Nicolette was in the shelter system for a year; we learned about her when her arthritis became too advanced for her to comfortably stay in the shelter. We welcomed her into our program thinking she would be one of our Angels, but once she got on some good medication to manage her aches and pains, it quickly became apparent that Nicolette has a lot more life to live! Nicolette is now ready to be adopted and enjoy fun in the sun for the rest of her days. Nicolette likes to greet her foster parents with a silly “grin” when they come home, her tail wagging the whole time! In fact, tail wags are her go-to when meeting anyone new, even if they’re talking in the other room. Nicolette enjoys lounging in the yard (with the occasional quick happy jog) and chilling out in the house. She’d make a fantastic Netflix buddy--though she’d like to remind you to bring popcorn to share, please! Nicolette has enjoyed living with her canine foster sibling, and we think she would be perfectly happy living with or without another dog. 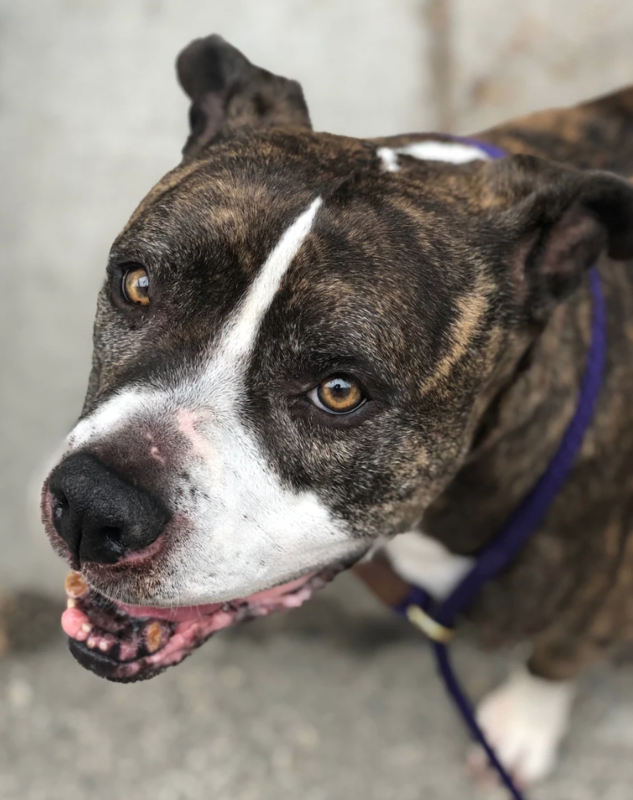 About 10 years old and 80 pounds, Nicolette is crate-trained, house-trained, micro-chipped, up to date on routine vaccinations and working on her basic commands.